We live in a world where cameras are commonplace, and people regularly conduct surveillance in and around their own homes. Some people use cameras to keep tabs on front door deliveries, for instance. They get an alert on their smartphone when the UPS guy drops off a package or a random person rings their doorbell. Security cameras essentially help stop home break-ins; they help keep families and properties safe. Now here’s a good question: where should you place video surveillance? Ideally, there should be a camera at the main doors of a house– typically the front door and the back door. There should also be cameras at off-street windows and any other areas where the general public wouldn’t be able to spot someone breaking in from the road. Did you know most burglars enter through the front door? Surprising, right? You’d think it’d be elsewhere, but, nope, the front door is a chief way for thieves to get into your house! Therefore, if you only have one security camera for your entire house, put it in place to watch who comes and goes through your front door. The camera should be placed “high up enough” that it can’t be easily messed with by anyone. If you have to place it near where people can access it, try using a mesh wiring to protect it. After the front door, the second most popular place for thieves to break in is at your… back door! So it makes sense to have a camera watching your back door. Besides the doors, burglars like to break into homes using windows that can’t be seen from the road– windows that aren’t within public view. Usually, this means they go for windows in the backyard and/or windows kind of covered by trees and bushes. Why not install surveillance cameras to watch these off-street windows? If you put cameras on your front door, back door, and off-street windows, you’re doing a great job at protecting your place from unwanted intruders. Other areas where people like to place cameras include the garage, basement, second floor, and along the driveway. NYCONN, serving the security needs of NY and CT, can help you figure out what kind of surveillance cameras you should get for your home, and how many you’d need. Meanwhile, NYCONN can help you decide where to place each camera for maximum effectiveness. Please call NYCONN at 800-783-5004 for more information. 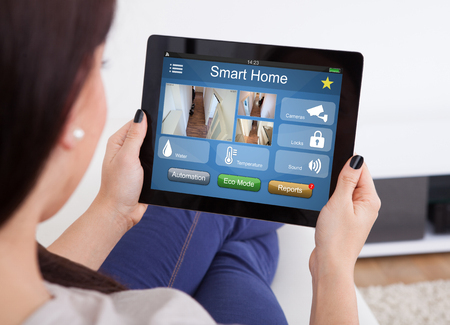 ← How Does a Home Security System Function?